The human brain naturally seeks out pleasurable experiences, be it spending time with a favorite friend, eating good food or roller coaster rides. The drug “high” that comes from abusing opiates can easily jump to the top of the list when drug use becomes a habit. Opiate drugs, such as codeine, fentanyl and heroin, carry an extremely high risk for abuse and addiction, partly because of the “high” they produce and partly because of the effects they have on the brain. If you’ve abused opiates and now find yourself unable to stop, there’s likely a very real need for opiate rehab treatment. Fortunately, there are a range of treatment options available to help you overcome the effects of opiate addiction in your life. 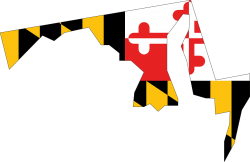 The state of Maryland has some of the best opiate rehab centers, located in areas like Baltimore, Annapolis and Aberdeen so there’s help available near you. Please feel free to call our toll-free helpline at 800-429-5210 to ask about available treatment program options. Opiate addiction treatment centers specialize in addressing the type of damage opiate abuse leaves behind. Program types vary in treatment approach and services offered, though most all centers employ either an inpatient or outpatient treatment approach. The type of treatment approach a program uses works to address different degrees of addiction. According to Harvard Health Publications, the degree or severity of your addiction indicates how strong a hold drug use has over your thinking and behaviors. Not being able to go to work/school due to bouts of drug withdrawal. Growing relationship problems due to drug use. Financial problems due to drug use. In effect, the greater addiction’s influence over your life, the more intensive the treatment approach should be. Inpatient programs employ a residential-type treatment approach in terms of requiring patients to live at the facility for the duration of treatment. If you’re no longer able to control drug-using behavior, inpatient programs offer the level of support needed to help you overcome drug-using urges. Outpatient opiate addiction treatment programs allow for considerably more freedom as patients live at home for the duration of treatment. Under these conditions, it’s essential that you still have the ability to carry out daily life responsibilities and manage drug-using behaviors or else relapse is likely. Treatment for opiate addiction starts with helping you break the body’s physical dependence on the effects of the drug. Physical dependence develops out of how opiates change the brain’s chemical makeup. After so many weeks of opiate abuse, changes in brain chemistry leave the brain unable to regulate the body’s systems without needed amounts of the drug, according to Icahn School of Medicine at Mount Sinai. When this happens, withdrawal symptoms develop. If you’ve abused opiates for weeks or months, you’ve likely experienced bouts of withdrawal that happen more frequently and grow more intense over time. Opiate detox centers employ a range of interventions designed to help alleviate uncomfortable withdrawal symptoms and restore a normal chemical balance in the brain. Since opiate detox centers operate as either inpatient or outpatient facilities, the more severe your withdrawal symptoms the greater the need for an inpatient treatment approach. Call our helpline at 800-429-5210 if you need help finding a detox program that’s right for you. More often than not, underlying emotional issues act as a driving force behind addiction-based tendencies. During the course of drug treatment, a good deal of time is spent identifying and working through difficult life issues and the faulty belief systems regarding self and others that support them. Sharing this type of information can leave you feeling exposed and vulnerable, especially when it comes to people outside the treatment program gaining access. For these reasons, treatment centers for opiate addiction follow strict confidentiality guidelines when handling your records. Further protections come in the form of actual federal laws that work to protect patient information from being disclosed to outside parties. Treatment for opiate addiction focuses on helping you overcome the hold that addiction has on your thinking and behavior. Whereas overcoming the physical effects of chronic opiate abuse can be accomplished within a month’s time, working through the psychological effects of addiction takes considerably longer. Once you reach a point where you’re able to conduct your daily life in a way that doesn’t aggravate drug-using tendencies, you’ll be in a better position to determine whether or not rehab should end. In effect, the rehab process can run anywhere from six months to several years depending on the severity of your addiction, according to the National Institute on Drug Abuse. If you have questions about how drug rehab works, feel free to call our helpline at 800-429-5210. Finding an opiate addiction treatment center is a matter of matching your particular treatment needs to the right program type, as in inpatient vs outpatient. By separating out accredited programs from non-accredited programs, you’ll be able to find the best opiate rehab center as far as quality of care goes. While opiate rehab can be expensive, this shouldn’t be a deterrent to you getting the help you need. Nowadays, most anyone can obtain health insurance coverage so if you currently have a health plan or can qualify for Medicaid, much of your treatment costs will be covered, according to HealthCare.gov. Many treatment centers for opiate addiction will also work with you in terms of offering flexible payment options. If you’re struggling with opiate addiction now, it will only get worse with time. In this respect, the importance of getting opiate addiction treatment help now rather than later cannot be overstated. Please don’t hesitate to call our toll-free helpline at 800-429-5210 to speak with one of our addiction counselors about rehab program options.